Over the years this vast responsibility, along with all the maintenance and upkeep of the golf course, and the entire Common, and of course the considerable cost, has been borne by the owners, Crowborough Beacon Golf Club. Management designed to strike a balance between cost, manpower, the need to provide a high quality golf course and satisfy the desires of members and the expectations of visitors brings enormous responsibility which the Golf Club and its staff carries out with dedication. Advice and professional guidance has been sought and gratefully received in the past from the Forestry Commission, Natural England, WDC arboricultarists and the Sports Turf Research Institutes most senior agronomists. This will continue long into the future and the woodland will remain managed responsibly, trees removed and trees planted, as it has been over many years, which have seen over 500 trees of mixed hardwood varieties planted over the last few years. Even the areas subject to T.P.O's regularly have trees removed with the approval of the WDC Tree Officer. 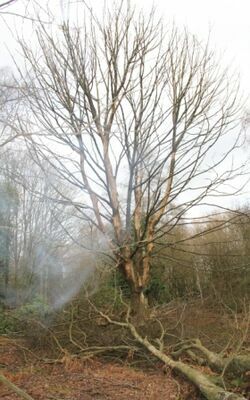 Whilst tedious in the extreme to complete pages of paperwork to gain permission to remove diseased Birch trees, decaying or precariously leaning trees which constitute a hazard in these days of acute Health and Safety consciousness and a Risk Assessment world, permission is invariably given. Early in 2012 permission was granted without the slightest issue for 20+ mature trees to be removed around the Club's practice ground. 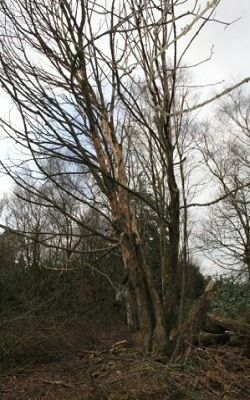 These are yet to be felled as the demands of maintaining a golf course over difficult terrain have to take priority for the Golf Club but these will be removed over the coming winter. Along with other trees encroaching elsewhere on the golf course, especially where the widespread panoramic views have come under threat. As indeed they have almost been lost from Southview Road adjacent to the 1st tee. Ironically almost the only place along Southview Road, that has a view south, is from the 1st tee. Even there, a blanket TPO on a copse of dense and overgrown Birch sees the widespread view disappearing. The Woodland Management Programme for the Common - as a whole - is under development at the current time in association with Andrew Wright BSc MIC of English Woodlands Ltd. Andrew is a former Forestry Commission arboriculturalist, so he has worked on 'both sides of the fence', so to speak. His initial report for the Golf Club, commissioned at the same time as the independent Ecology report, confirmed what is obvious to even the untrained eye. His conclusion to the current state of the woodland within the area at the northern end of the Common, repeatedly and incorrectly referred to as 'Beacon Wood' by some, confirms that it can only be improved considerably by proper management. His conclusion read as follows.
" 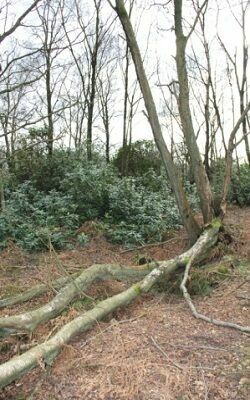 This is currently very low quality woodland from biodiversity, amenity, landscape and silvicultural points of view. 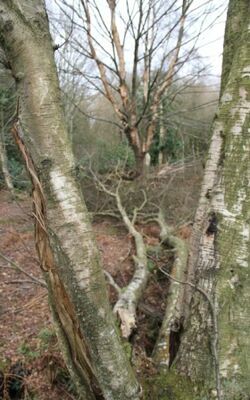 The woodland is subject to a TPO, although it comprises poor quality tree cover and is relatively low value woodland habitat. In many ways it is typical of semi-natural secondary woodland in a peri-urban setting in that it has received little management, in this case probably due to the TPO, and is currently in a degraded state due to negative human influences such as dumping and introduced species. However, given the long association of woodland habitat in England, and particularly in Sussex, with human intervention and management, there is clear potential to significantly enhance this woodland for the future. 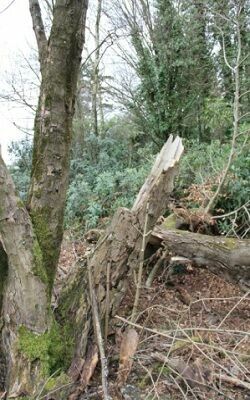 To implement the suggested programme of management vehicular access to the woodland would be required and a certain amount of disturbance is inevitable. However, the longer-term benefits of such management intervention should be seen as worthwhile of some short-term disturbance. The Golf Clubs proposal for a seasonal overflow car park on a limited part of the woodland floor is in no way at odds with the appropriate and sustainable management of the woodland as set out above. Such a parking scheme could quite sensibly be incorporated into the proposed management programme with some careful planning and implementation. 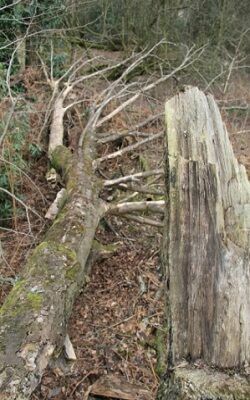 Historically, the long-term sustainability of English woodlands has hinged on their usefulness to society, whether that is timber, game habitat, shelter or screening human developments. The parking proposal is no different in that by securing the usefulness of the woodland the longer-term sustainability of the woodland can also be secured." A full copy of the report can be obtained from the Golf Club Office upon application.